Hello everybody! It has been quite a while [very very long while] since I’ve last posted on here a thread or even just post about anything but I am finally back since a new season of hip-hop survival competition ‘Show Me the Money’ has returned. For those of y’all who don’t know, I am a pretty big follower (and okay, maybe fan I have to admit) of this show for several reasons. I followed up on last season’s show and posted about it on this blog and I’m looking forward to doing the same thing with this season. 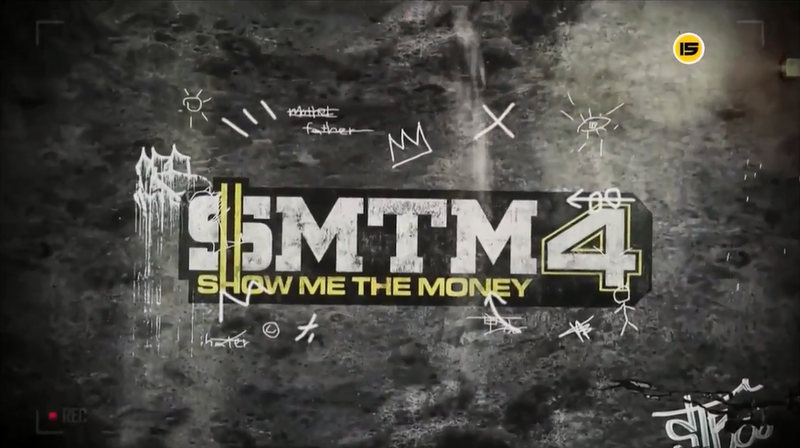 I’m really excited to see what the 4th season has up its sleeves for us because season 3 (which btw is the only season of SMTM I’ve only seen so far) was great, from the judges to the contestants themselves to the performances to the trendy acts (“that’s no-no”) to all the drama. I have a lot of expectations for season 4 and based on episode one, I’m not so sure if those expectations will be met. So before I go on about the episode itself, I would like to share my thoughts about the show and judges for season 4. If I have to be honest, I was super excited for season 3 because of the judges. They were the ones that made the season for me and it was so funny and wonderful watching them judge the contestants. They were all so funny and witty and great in their own ways and I think that’s why SMTM3 was a success and a favorite show of mines. I remember watching the show raw (which I usually don’t do) because I was just so excited to watch the newest episode and to see if my favorites (*COUGHIRONCOUGH*) would make it to the next round and to see who was gonna get eliminated and for a whole bunch of other reasons. I really enjoyed season 3 and I’m thankful that I watched it because I was able to discover new rappers and hip-hop artists that I would have never found out about and listened to if it wasn’t for SMTM3 (such as Giriboy who I love a lot or Iron who I am a dedicated fangirl to or Jolly V who I love). Therefore, upon hearing about SMTM4, I was excited because there was gonna be a new season so I was looking forward to it a lot. After hearing about who the judges would be for SMTM4, I was kind of iffy about the season and to be honest wasn’t as excited. For those who don’t know the judges are, Tablo has returned but this time instead of Masta Wu, he is paired up with labelmates Jinusean. 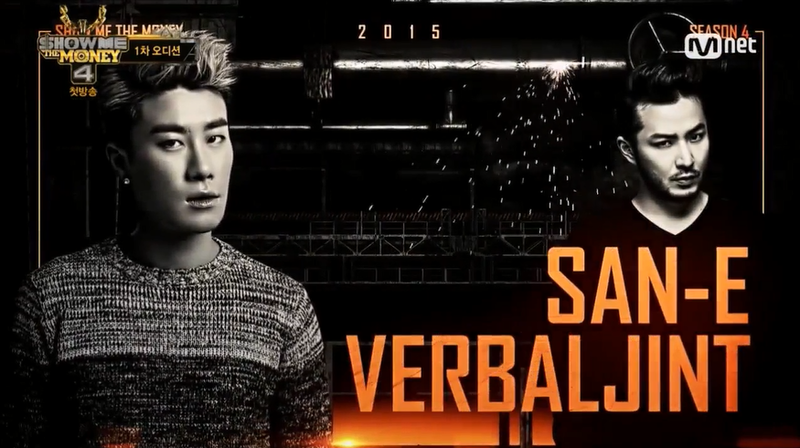 San E has also returned but since his past partner Swings is currently doing his army service, he is paired up with Verbal Jint (FAVORITEEEE!). Then there are two new teams that’s never judged before on SMTM. There’s Jay Park and Loco (btw in which Loco was the winner of the first season of SMTM so he definitely has some credibility) and then the other team consists of Block B’s Zico and Paloalto. So upon hearing that those were the judges, I wasn’t disappointed but I liked season 3’s judges better (I mean come on, you had Illionaire). I think the only judges I care about are Verbal Jint (he’s been a favorite rapper of mines since years ago) and Paloalto (who I don’t listen to a lot actually but I feel is better than the other judges on the show). I have to be honest, like many other people, I was confused as to why Jay Park was a judge just because he’s not quite known for his rapping but I don’t really care anymore. I just wanna watch the show without having to doubt anyone or complain because there’s nothing we can do about it, lol. I don’t really listen to Loco either and only heard of his name so I’m not too familiar with him, but with all the other judges, I know who they are and have listened to at least one of their songs. I’m hoping the judges won’t make any weird decisions like how there was some made last year and remain smart. Please judges. Please. For the better of all of us. Episode one was the usual in that the judges judged all the contestants for the first round. It mainly focused on the more well-known rappers and of course the idols although there was some attention on the non-celebrity contestants who did pass. The episode also focused on the judging styles of each judge which I found quite interesting. Some are more cold and off-putting while others like San E are more cheerful and laid-back. Overall, episode one wasn’t anything too great and enjoyable. Idols was a hot and popular topic in episode one. I noticed that a lot more idol rappers auditioned in this season and most of them didn’t pass. A lot of contestants also rapped about idols and criticized them. I wonder if idol rappers have this mindset that just because they’re idols they’re going to pass even though they might not be great just because they have that name with them. I’m pretty sure that idol rappers go on the show because they want to prove that they can rap and that they’re not just dolls or puppets of their entertainment labels, but do idol rappers also carry the other mindset I was talking about. Regarding the idol rappers who didn’t pass, I’m surprised that the rappers of MIB did not pass. Hello Venus’s Lime also got eliminated. Former leader of GLAM Ji Yeon auditioned and rapped about her life after GLAM and sadly got eliminated. A whole bunch of other idol rappers also didn’t make it and it’s like just because you’re an idol doesn’t mean that you’re going to get a free pass. Then there were other idols who did pass such as VIXX’s Ravi (who I’m not familiar with) and 17’s Vernon. So I mean, in episode one, idols was the center of attention and I understand because there were many idols who came out to audition in hopes of making it but sadly being eliminated. Then there are non-idol rappers like P-Type who have been in the hip-hop industry for more than a decade and auditioning as a contestant. I do feel like the judges are more of the trendy and mainstream rappers and hip-hop artists so that SMTM can gain popularity and ratings, but when you have rappers like P-Type, it’s just mind boggling that his hoobae is going to judge him when it should be the other way around. P-Type passed the first round (which should have happened. If he didn’t, I would have been so mad) and I’m hoping will work his way to maybe even winning the show. I’m hoping that whoever the judges he decides to join are won’t pull a Tablo on him and let him go to save a rookie (Tablo I’m glaring at you. On a side note, I mean I love Tablo but he be complaining about how his reputation has gone down and no one takes him seriously anymore and how he doesn’t want to be in last place again this season and I’m just like if you had not eliminated Snacky Chan then maybe that wouldn’t have happened. But oh well. Season 3 has ended a long time ago and there’s nothing we can change about it but still, just thinking about what Tablo did still hurts me because I wanted Snacky Chan to survive in the competition for as long as possible). There’s also Black Nut who is…a really weird guy but someone whose weirdness is a charm of his that I think I will get attracted to (if that makes any sense LOL). He’s also a part of the Just Music label that many of his labelmates who were past contestants or judges on SMTM are in such as Swings, Vasco, Giriboy, and CJamm. He passed the first round not only with his surprisingly smooth and impressive rapping but also by pulling down his pants which was something I had never seen before. Hahaha. It was great. I’m really looking forward to these two and what else they bring onto the show. There are also other small stuff that gains some attention in episode one such as past contestants who were previously on the show but getting eliminated along the way auditioning again or a grandmother auditioning because of her passion for hip-hop or female rapper Kasper auditioning and passing (I’ve watched a few of her videos so I know her name). I think the thing that got to me the most out of everything from episode one would have to be Crucial Star’s elimination just because I strongly felt like he should have passed. I’m so sad. I know he messed up on his lyrics, but he is so good and I’m not a big fan of his but I have listened to his songs and he’s a great rapper and musician. I’m so heart-broken that he didn’t pass because I wanted to see him go even further on the show. Tablo, whhyyyyy. WHY DID YOU HAVE TO DO THIS TO HIM. (also, side note, but if anyone knows what song his female fans were singing along to during that one clip of Crucial Star performing on stage, please tell me. It would be greatly appreciated. Thanks!). Few things that made me laugh were the jokes that Tablo made about Sean’s image and judging. Since Sean has an image of an angel and is known for donating a lot of money to charities and organizations, it was expected that he would give out many necklaces to the contestants and would give those he eliminated advice which is why many contestants had wanted Jinusean to judge them but in reality, when the duo came out to judge, it was the exact opposite which was quite funny. Hahaha. I love all these plot twists; they’re the best. I also love all the shade that the judges throw against one another. They were making fun of Team Zico and Paloalto because they’re such an unexpected pair and omg it’s so funny. 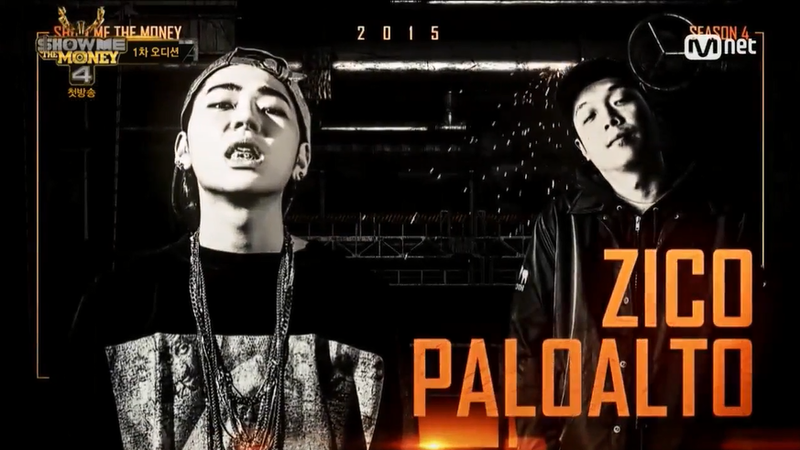 If I had to choose which team will win, I’d say Team Zico and Paloalto because they’re both very strong individually and so together as a team they’re a force you don’t want to mess with. I can see Jay Park and Loco creeping up from behind though and taking that win because I think they’re a bit more popular and trendy right now. I’m not expecting Team YG or Brand New Music to win although I wouldn’t be surprised if they did. I’m just hoping that all the contestants that passed that I like and is biased towards will join the judges I want them to. I don’t want another Snacky Chan to happen. Please. Anything but that. 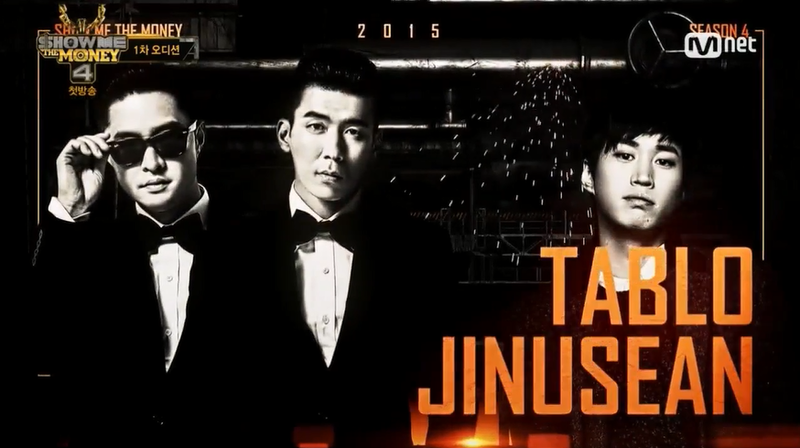 What are your thoughts on the first episode of SMTM4? Share them by commenting down below and discuss away with me on how you feel! damn! !no one is asking you to recap but please please recap, i am really excited for this season –especially the judges since jay got so much flak for being a judge in the first place –i want to see how far they can go. Hi! I came across your blog recently. I wanted to ask you something about swings. I watched season 3 and for some reason i have this idea (that might be wrong) that swings said something like everyone wanted to be in his team because he won smtm2 (i think). I saw somewhere else that he did not win but it was someone else. Did i get the wrong idea that swings said he won? Or did he actually publicize himself like that? Sorry this is not currently relevant but its bugging me. Thanks in advance. So after doing some research, Swings didn’t win SMTM2 (it was a trio called Soul Dive that won that season). However, from what I recalled since I didn’t watch that season but did read little articles about it here and there, Swings along with a few other contestants (like Mad Clown) were more of the more well-known and popular contestants on the show so I think that’s where Swings got his arrogant and confident attitude from. Swings in general is just a really cocky guy I have to admit who thinks he’s like the best rapper ever and thinks that SMTM is the popular show it is today all because of him (in which it is not true imo). I like Swings but his arrogant attitude can be really off-putting and annoying at times. So ‘m not sure if Swings said that he himself won SMTM2 but the fact is that he didn’t. He probably publicized himself that way though to make himself look good. Omo! Thank you for answering! I also think swings is very arrogant. I had the wrong idea that his cockiness came from winning (but he didnt win). He annoys me a lot even if he is a good rapper. This season seems to be promising so far. I cant wait to see great performances. Im rooting for Song Minho and Tablo (to at least not come in last again T^T).